Revision hip replacement surgery is for people who have had previous total hip replacement surgery, and who need to have another procedure to repair or replace the artificial hip joint. Why Consider having Revision Hip Replacement Surgery? Total hip replacement surgery is initially carried out to replace a damaged or diseased hip joint, typically for someone with a degenerative disease such as osteoarthritis. While the replacement hip is strong and made from durable metal, it doesn't last forever. 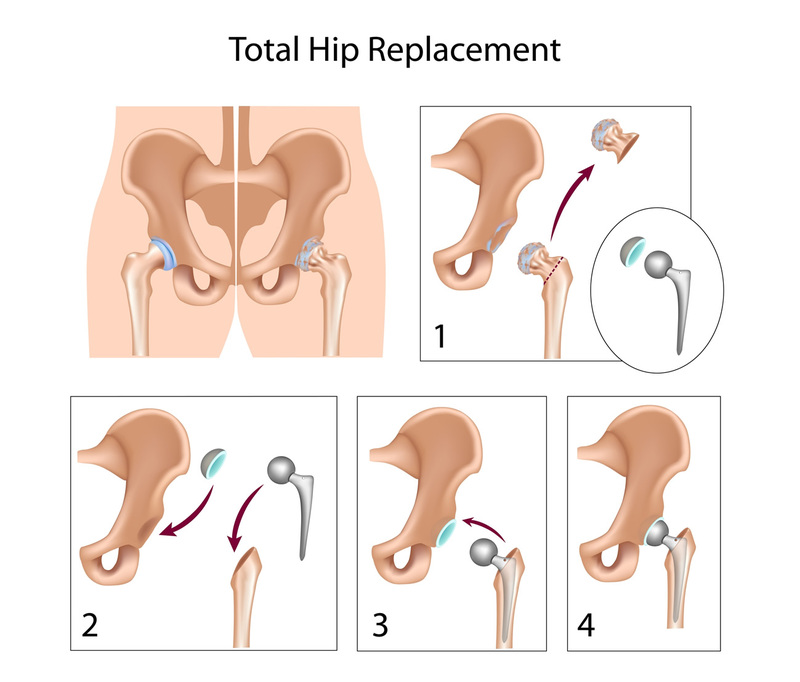 Even the best quality artificial hip has a maximum lifespan of 15 to 20 years, so for many people it becomes necessary to have revision surgery to replace the artificial joint. This is especially true for younger people who have a total hip replacement, and for people who are particularly active. Replacement of a worn-out artificial joint isn't the only reason someone might need revision hip replaced surgery. Other common reasons to revise or replace an artificial hip joint include infection of the existing artificial joint, recurrent dislocation of the artificial joint, or a mechanical failure such as a break in the joint. For most people who have total hip replacement surgery the risk of any of these problems happening is low. However, for an older patient, or someone who has had multiple hip surgeries, the risk of problems such as recurrent dislocation is higher. In revision hip replacement surgery, the patient's artificial hip joint is repaired or replaced. The nature of the surgery depends on why the patient is having the revision. Most revision procedures are performed under general anaesthetic, but some patients might have a local anaesthetic combined with sedation to ensure they stay relaxed. For instance, if the patient's artificial hip joint is infected, the revision surgery might involve thoroughly cleaning the hip joint to remove as much of the infection as possible. Typically this is only possible if the infection is in the very early stages. If the infection isn't diagnosed within the first few days, it's often necessary to replace the joint. When a patient suffers from repeated dislocation of their artificial hip joint, the surgery may involve implanting a device that makes the joint more stable. Alternatively, the joint might be replaced with one that provides a better fit for the patient. If revision surgery is needed to revise a mechanical failure or fault, part or all of the artificial hip joint might be repaired or replaced. Sometimes, a bone graft might be needed to rebuild the hip or femur. This is necessary because mechanical failure of a hip joint can cause bone loss in some cases. To prepare for a revision hip replacement, a patient must have a preoperative evaluation, just as they did for their initial hip replacement surgery. Their general health is reviewed, any medications they're taking are evaluated, and their level of general surgical risk is assessed. This is important to determine if there are any health risks, such as infection, that need to be resolved before surgery, or if there are any medications the patient takes that might increase their risk of surgical complications. Because there are often factors that complicate surgery, such as bone loss or infection, recovering from a revision hip replacement often takes longer than recovering from an initial hip replacement surgery. Often there are also additional factors a patient needs to be aware of during their recovery. For instance, if a patient has had a bone graft they might need to refrain from putting their full weight on the joint for some time after surgery. If a patient has had an infection of the hip joint they'll typically have to take antibiotics for several weeks or longer after surgery.